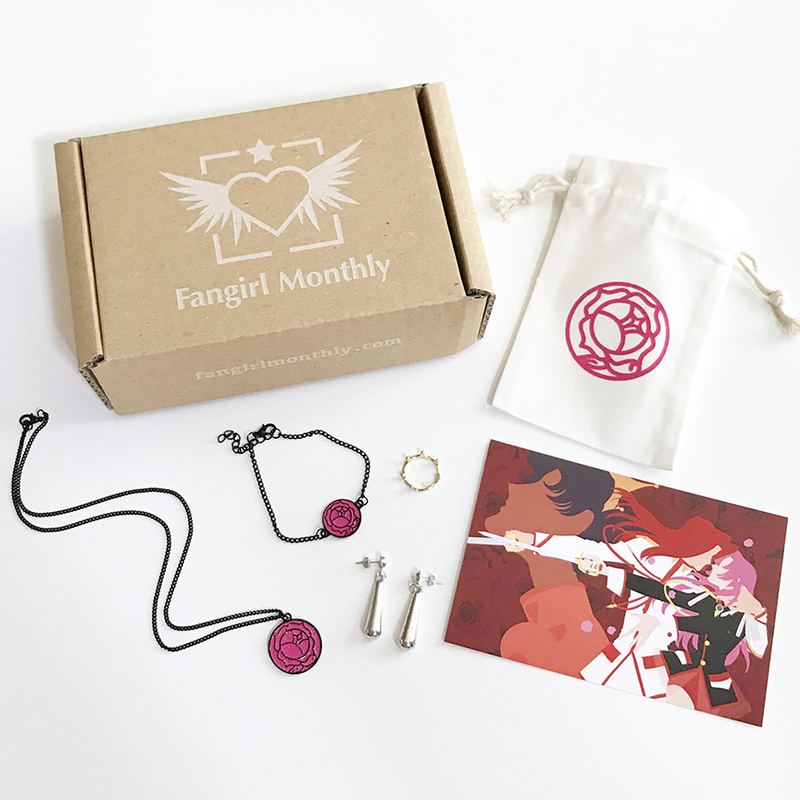 The December 2017 box theme was Shoujo Kakumei Utena. Inside you will find the following items: Custom Rose Crest Glitter Necklace, Rose Crest Bracelet, Rose Bride's Inspired Crown Ring, and Anthy's Cosplay Earrings. Also included is an exclusive postcard print and cotton canvas jewelry pouch. If you missed this box, now is your chance to grab it!